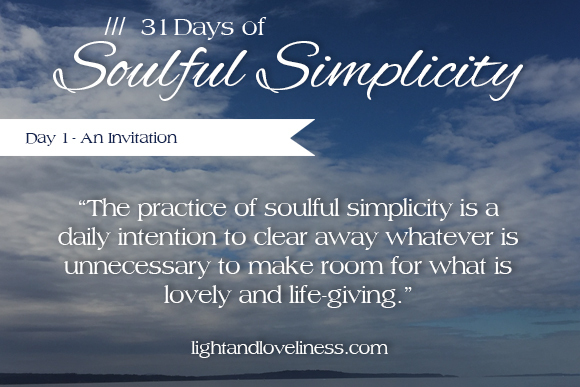 Welcome to 31 days of Soulful Simplicity! I am eager to share this series with you. Thanks for taking the time to spend a few minutes here. Let me start by saying: simple is not the same as easy. Simplicity is a sneaky, upside-down concept that might surprise you as you break it open. On one hand, it can be a straightforward idea—but I would be willing to bet that you haven’t quite seen what simplicity is really capable of. Simplicity will absolutely wreck your life. It has wrecked mine in the very best way, and that is precisely why I’m here to warn you invite you along on that same journey. I am writing this series on soulful simplicity not because I am an expert at it, but because I have been a student of simplicity for some years now, and have discovered that anyone who will engage in the pursuit of soulful simplicity will find themselves on the way to (or in the midst of) a beautifully abundant life. That is my prayer for you. Soulful simplicity is not just about having less and doing less for the sake of having less and doing less. It is not about merely conquering clutter or implementing slick systems to make everything in your life efficient (although those can be excellent). Soulful simplicity is about pausing, evaluating the status of your heart and the condition of your home, to intentionally make space for what will give you life, joy, and freedom. Remember I said at the beginning simple is not the same as easy? If I can be real for a moment, pursuing simplicity can be fairly uncomfortable at times. It requires courage and honesty to look closely at our hearts and our homes in order to discern what is necessary, helpful, and worthwhile…a process that sometimes shines a light in places we would rather not see. The journey also requires patience, tenacity, and sometimes a bit of heavy lifting to get the (physical or spiritual) junk out. You will be asked to make tough decisions, and there can be a number of big feelings on board for the ride, but having experienced the beauty of a soulfully-simplified life, I have to say, I find it to be worth the trouble. If you decide to dip your toes into this incredibly rewarding (but sometimes uncomfortable) pursuit, please know that I am here for you–to encourage, pray, listen, or offer ideas. It’s a journey. I am still in process myself, but I’m also full of hope that if I can share with you some of the insights I’ve gained along the way— you might also experience the peace I have come to know, you might become well-acquainted with rest, you might find relief from stress and worry, and you might find your aching places restored to wholeness. This is the unexpected, beautiful way that the pursuit of soulful simplicity has wrecked my previously frenetic, exhausting life. The practice of soulful simplicity is a daily intention to clear away whatever is unnecessary to make room for what is lovely and life-giving. If you are longing for deep and abiding peace within your soul, if you are in search of a way of living that allows you freedom from a busy, over-stuffed schedule, if you are eager to leave behind the loud, busy, stress-filled life for true rest and a lightness of heart, consider this series an invitation to discover or re-discover intentional and practical ways to establish habits of soulful simplicity. Thanks for being here. *Find all the posts in this series here. Previous PostSurprise Summer	Next PostWhat is Soulful Simplicity? I’ll be reading along. It’s a journey I am on also…..more miles to go! Looking forward to this. Thanks Carol! 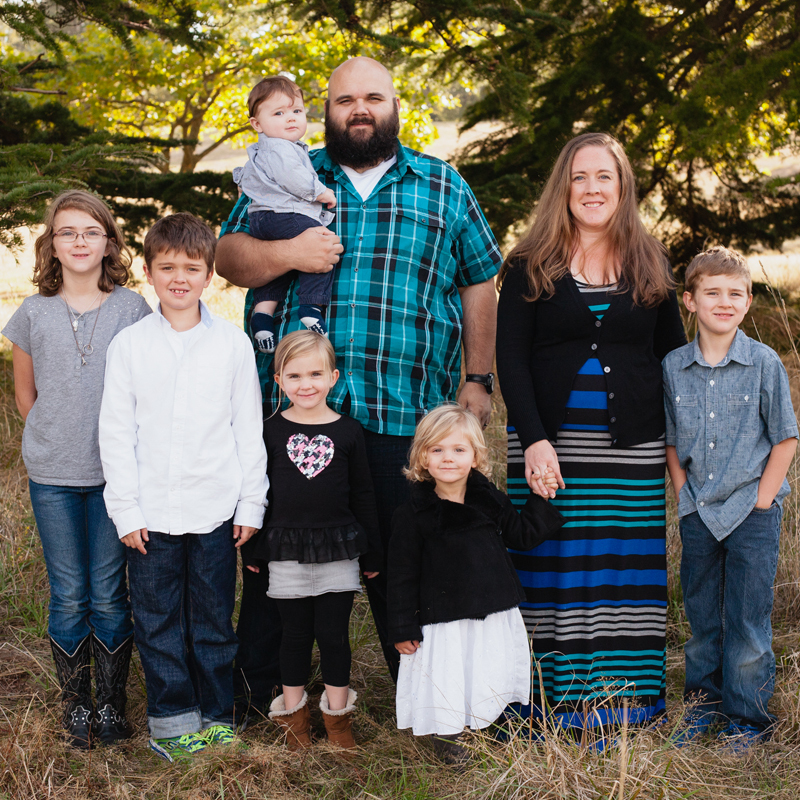 I hope you find encouragement here. Ohhhhh, I like this. Will read along as I am able. Thanks for your encouragement along the way, Jody! Great first post! Can’t wait to read more of your thoughts and wisdom Emily! Thanks for your support sweet Sarah! on it…..to remind me. Thank you for your writing. I love the idea of having a little reminder like that Judy! Thanks for reading along! I am writing that down in my planner today, so I can refer back to it all week long. What a good reminder and perspective to take on. I love that you resonated with that Lindsey! Thanks for reading.